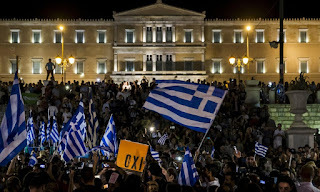 Democracy in Greece spoke on Sunday and the response was a resounding “no” to demands for more of the excoriating austerity that over five long years has been the price of keeping Europe’s weakest economy afloat. In a referendum seen as the single biggest experiment in people power since the debt-stricken country crashed on the rocks of bankruptcy, 61% of voters rejected the terms of further financial assistance set by creditors at the European Union and International Monetary Fund. Lobbed at the heart of Europe with the force of a rocket launcher, the rejection was a cry of rage. 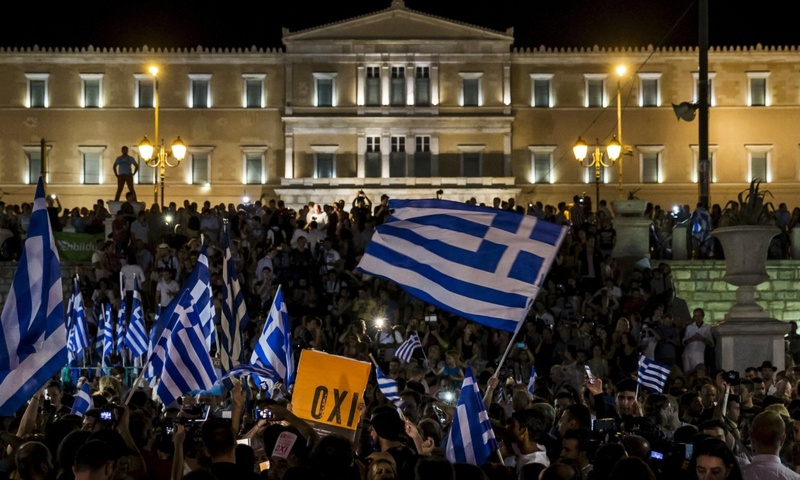 As it became increasingly apparent that the no vote had prevailed, thousands took to the streets, packing into Syntagma Square, the plaza in front of the Greek parliament, under a sea of flags to celebrate the result. It is a huge personal triumph for Tsipras, who had defied creditors with last week’s bombshell decision to hold the plebiscite.